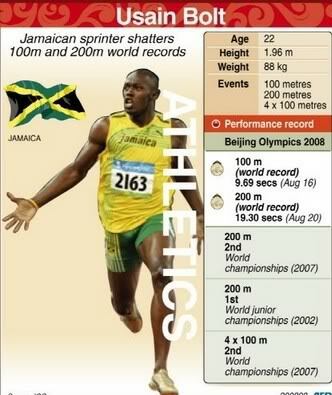 Usain Bolt (Jamaica) - the fastest sprinter ever! Usain Bolt is currently known as the fastest sprinter ever: he is the (olympic) world record holder on both the 100m and 200m sprint. 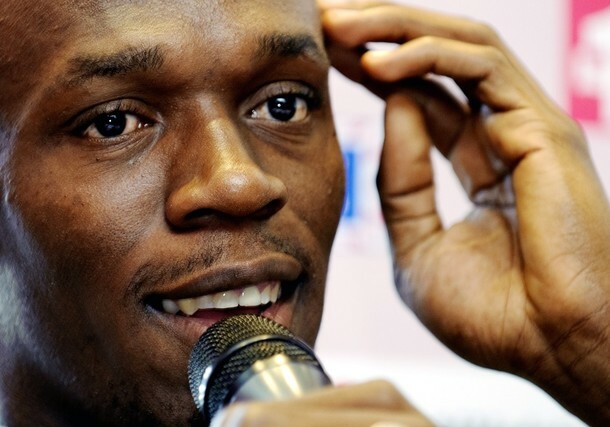 But there's a fascinating story behind Usain Bolt's success... and it's in his fingers! For, Bolt is from Jamaica... Jamaicans are known for having a low 'digit ratio' (= 2D:4D finger length ratio) ... and various studies have indicated that a low 'digit ratio' is a key-factor in athletic ability & a fast sprint! Re: Usain Bolt (Jamaica) - the fastest sprinter ever! Gosh, I never knew that the 2D:4D digit ratio was that common in Jamaican natives. Could that be an evolutionary feature that occurred for survival and/or environmentally adaptive reasons? I see that Bolt (what an apt surname!) also has the angle of manual dexterity in his hand. It's very pronounced. If you're a sprinter - whose success relies primarily on possessing a good awareness of, and adaptation to, time - this is a fantastic hand feature to have. Bolt's palmar lines look very clear to me, and I thought I spotted a trace of a fate line (it's difficult to see in the photos) coming from his wrist area, which would make him single-minded and focused in terms of goals. His fingers are widely spaced, so he's probably something of an outgoing, extroverted guy.